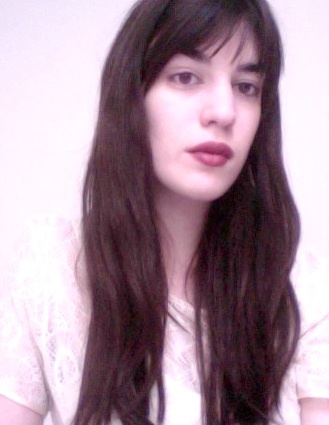 Last month, writer and artist Stephanie Cristello was appointed as one of the senior editors for ArtSlant. In this new role, she will be overseeing coverage not only in Chicago, but also Toronto (Cristello’s hometown) and Santa Fe. This appointment follows her taking on the role of editor-in-chief for THE SEEN, the blog for EXPO Chicago, last October, where she will continue as well. Cristello graduated from the School of the Art Institute of Chicago with her BFA in 2013. Much of her art-making involves text and shares the lithe, curious approach in her writing. Looking forward to her new position at ArtSlant, Cristello described by email the interesting ways that their art coverage encourages drawing connections between projects happening throughout the world. “ArtSlant has this way of inadvertently forcing coincidence; it is the perfect environment for happenstances to occur on a more international scale. I am definitely interested in this idea of expanded connectivity,” she writes. Working as an editor at the two publications, she draws distinctions between their roles and the responsibilities she has at both. Since beginning her editor role at THE SEEN, her goal has been to complement coverage of international exhibitions—many of which feature artists based in Chicago—with reviews of important exhibitions here in town. She has also hired staff writers based all over the world in Berlin, Chicago, Los Angeles, Montreal, New York, Paris, Philadelphia and Vienna from whom she sources reviews from their respective regions. In addition to overseeing arts writing, Cristello has also been coordinating programming as part of EXPO’s Dialogues series, such as a recent panel discussion about experiencing exhibitions online—a relevant topic for their coverage, not to mention ours here at Newcity.